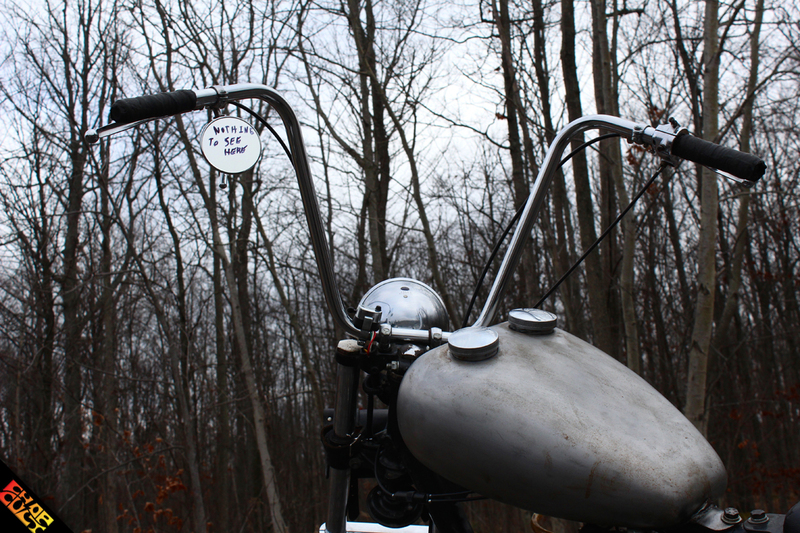 ChopCult member Shane Burkholder's story is like many told here before. Shane searched for a used motorcycle that he could modify to fit his liking. He spent hours behind the keyboard bartering and proving himself a worthy candidate to the Internet seller. Once agreeing to the terms, he had to figure out how to get the bike, which was 20 hours away. Luckily, Shane's dad is an avid motorcycle enthusiast and didn't hesitate to help his son retrieve the bike. But Shane's Dad didn't stop helping after the 40 hour haul. He spent countless hours helping Shane attain his vision. 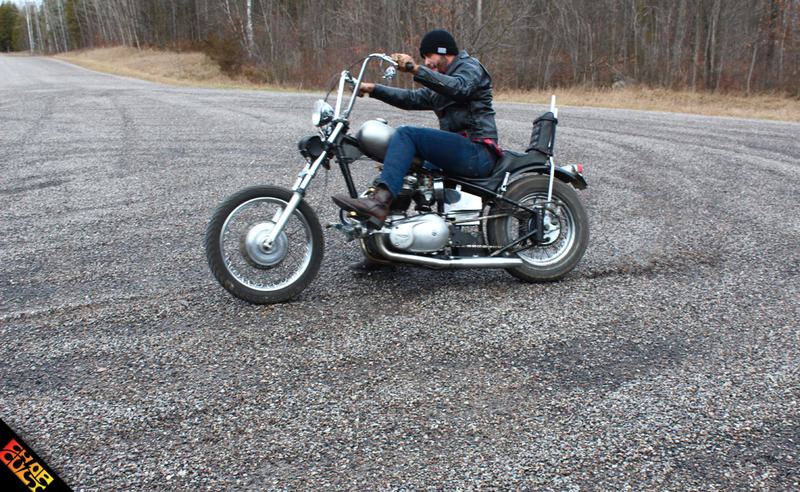 The bike you see here is more than a raw motorcycle; it's the final product of a father and son working together. In this day and age, this story of unity is priceless and we hope Shane continues to enjoy the ride! Frame: Trophy TR6 frame with a bolt-on survivor plunger tail. 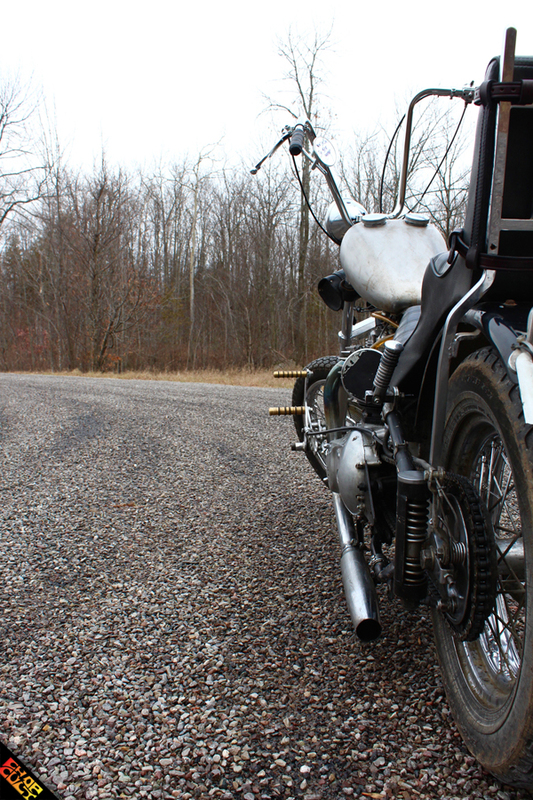 Favorite thing about this bike: The history in the 48-year-old motor; the hours my dad and I put into it to make it the bike it is now; and the raw, bare bones look of it are just a few favorites. Other mods, accessories, cool parts, etc: MityMax Box which allows it to be started and run indefinitely without the battery, handmade brass foot pegs, Survivor Plunger Tail bolt-on frame, King/Queen seat. 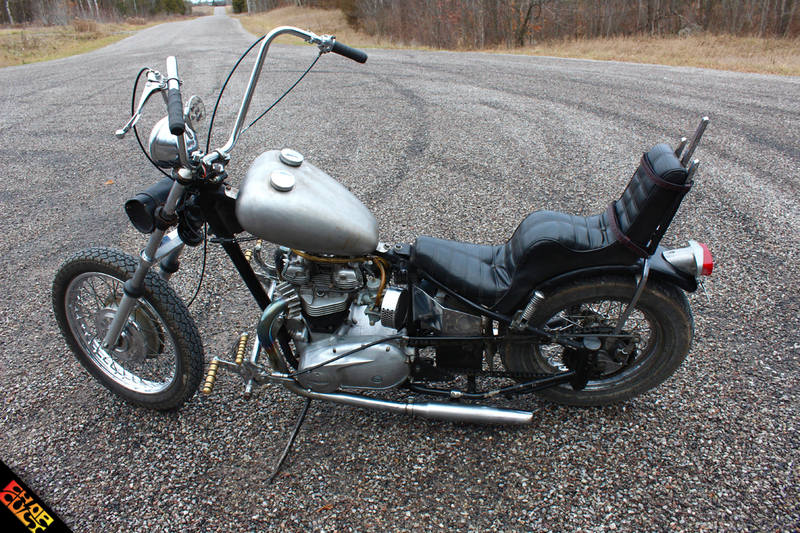 Any building or riding story or info you'd like to include: I saw this bike online, posted by a guy who was just showing off what he owned and in the back of the photo I could see an awesome King/Queen seat. I asked him what he wanted for it, and when we started talking he told me that he had a 68 Bonneville motor in a TR6 Trophy frame. He said he’d be willing to part with it if he was convinced it was going to a good home. I explained to him that I had motorcycles bred into me by my dad and that he and I had put a lot of time and care into restoring my 1983 Honda Nighthawk. We worked out a deal but there was still the issue of how I was going to get the bike, as it was over 20 hours away in Northern Ontario. I had to work that week, so I ended up paying my dad and uncle to drive our old minivan to pick it up. It was a crazy trip in a van that has no high gear, in -40C temperatures, but absolutely worth it. 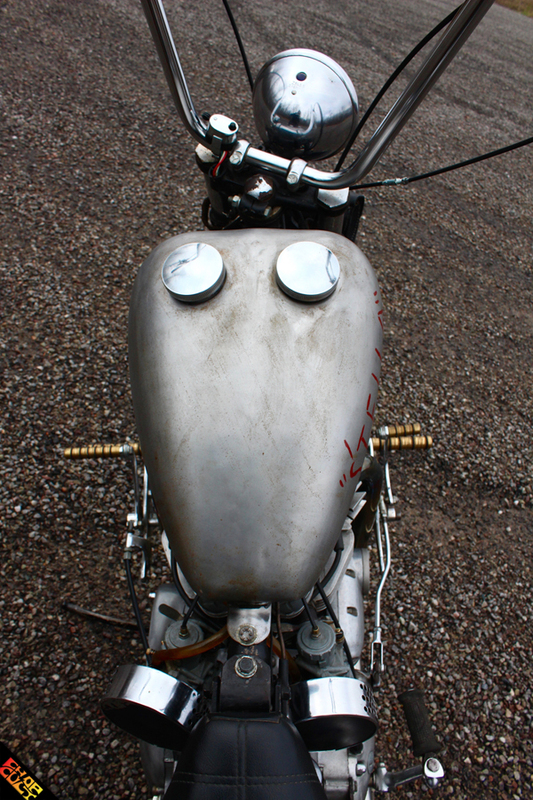 Along with the Bonneville, they had a 1969 Triumph Trophy motor and frame in tow on which we are working now. It was my great pleasure to send my 2 old Trumpy's to their new home. Shane is a great kid and his enthusiasm for these old thumpers was contagious ! I spoke with him several times before deciding he would give them a good home. His Dad drove a long ways in -40 temperatures to get the bikes that I had buried in the back of my garage. My old El Camino was in front of the bikes and wouldn't start at -40 with the high comp engine frozen sold. After frozen fingers and a few choice words, we managed to get the bikes loaded in the old mini-van and away he went. Shane and his Dad worked tirelessly on the 2 bikes and I am proud to see these Survivors getting the love they deserve! Well done guys, proud to know you. Dan Thurber, Fort Frances, ON Canada. Great story! The bike obviously has a soul all it's own and looks great! The Father/Son/Uncle thing is priceless...Very Inspiring!